If you’ve ever done Stop Hunger Now or a similar food packing project, you know how fun and exciting they are. It’s an hour or so of team building, high energy, work that packs meals to eradicate hunger worldwide. Each year, we have a District Conference that is typically a board meeting. This year, instead, we will spend most of our time packing these meals. I encourage you to come to conference this year to join the effort to eradicate hunger. The event will be held at Sandersville UMC: 202 W. Church St. Sandersville, GA 30182, on Sunday, March 31, at 4:15pm. Please also let the church office know you plan to attend so we can be on the lookout for you when you arrive! 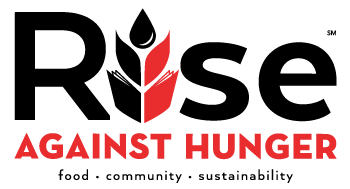 Let’s join together with other churches around the district to end hunger worldwide.